Nobody needs an introduction to YouTube. It is everywhere and most importantly it is the second largest search engine after Google. Today, a simple search on YouTube will make you realize that it is much more than just music and be watching funny videos. However, Youtube is one of the most neglected social media channels for brands. Only 9% of small business users in the USA use YouTube. In India too, though YouTube watching has grown around 90% as compared to last year, it isn’t being utilized by businesses. Let’s check out a few hacks that will help you kick-start your YouTube channel for success. You might think this is really simple one, but this is where the gold mine is. 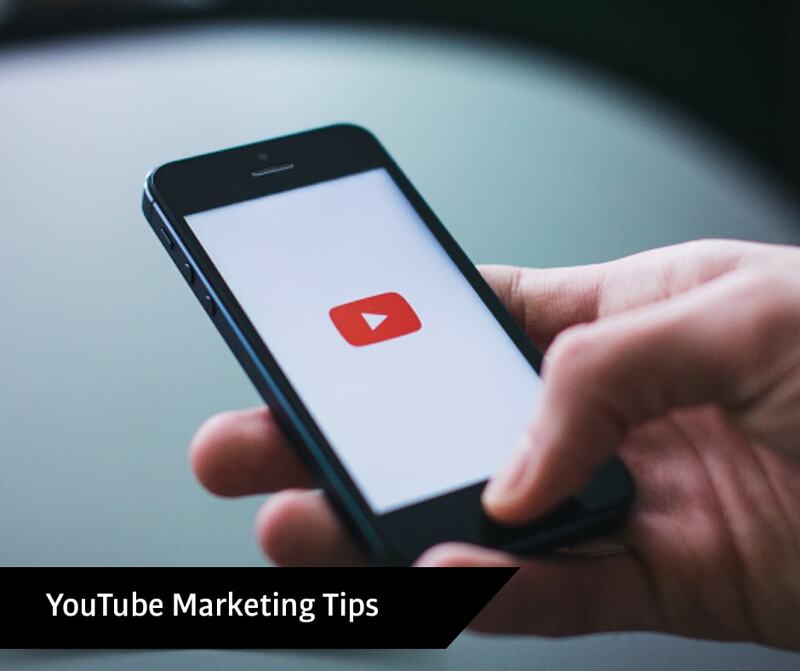 YouTube is owned by Google, so Google is interested in indexing and pushing its video content and if you observe even in normal search, a video ranks higher for a search term than text, so make the most of it. Once your video is created, make sure you have a catchy and keyword rich headline and tags. Put special emphasis on crafting a well-worded and keyword relevant description. The first 100 words are extremely important as that is what is shown in a search. Always add sub-titles and transcripts to your videos. The transcript ensures that video keywords are automatically added to the video. The sub-titles too are crawlable by search engines so make the most of it. Use keyword planner to identify good keywords. Add an eye-catching thumbnail. Either design one on your own or get someone to design it for you. An eye-catching thumbnail is one of the deciding factors for a viewer to click. Brand your channel with a good cover and relevant themes. Add an end-slide to your videos and ask viewers to subscribe to your channel or follow your social channels at the end of the video. Add annotations and drive traffic to other relevant videos that you have or to your website. Google or Alphabet Company always focuses on the viewers or searchers intent, they keep bringing in changes to their search algorithm to make the channel more relevant and useful for their viewers. According to the current changes, three things that a new channel should focus on is consistency, discoverability and watch time. As a new channel, focus on creating useful and lots of content. Post daily, however, make sure that you post relevant content. YouTube has come up with a feature where it will showcase new creators with at least 100 subscribers in ‘On the Rise’ section. Focus on your niche and create lots of content in that area. An important thing that separates user behavior on YouTube and other search engines is the suggested videos section. Once you start playing a video, a list of suggested videos pop-up on the right-hand side. The user usually scrolls through that to decide which video to watch next. View videos in your niche or topic, identify the keywords that are there in those videos. Create your content that’s better or adding value to those existing high ranking videos. Focus on being in the suggested list of YouTube videos by creating similar titles and keywords. Watch time does not just mean how long a video was watched, it also refers to the watch time of your channel and the collective watch time of all your videos put together. YouTube looks for relevant videos to respond to a search query with not just keywords, but also on the basis of watch time. Do a monthly analysis of your videos. Work on videos that aren’t being watched much or remove such videos from your channel. This will improve your average watch time and help you in the long run. Collaborate in your niche. If you are a fashion brand, then find top channels in allied fields like maybe travel or hospitality and feature them on your channel and see if you can be featured on theirs. This collaboration will give your brand a wider reach and a target audience that matches your audience profile. You can even collaborate with influencers on Youtube or Vloggers and ask them to add videos around your theme/playlist. This works great if you are holding an event or wish to do a series of review/demo of your products. Scout places like Quora to see the kind of questions being asked in your niche. Create videos that answer them and share it with people looking for those answers. If you already have a video where you have answered that question, then you can pause the video at a particular section, where you are answering the question and then click share. Your share link will have a t=time pointer, starting your video from there. Tube Buddy is a chrome extension that helps you do more with your videos. Tube Buddy gives you real-time analytics of your channel. It also analyses the tags for your existing videos and lets you know your ranking for each keyword. You can do a quick analysis of existing tags and remove the non-performing ones.Check out the Explore tags option to come up with new topics, understand the competition for various keywords and also see the high ranking videos. YouTube advertising helps in putting out the videos to a large audience. Promote your brand on YouTube. The ads will appear either before or after the selected video plays and in the suggested videos. Use this to push your brand on competitor’s videos, allied content and educational content related to your segment. Thanks a lot for this I one of the lucky person who read this post.